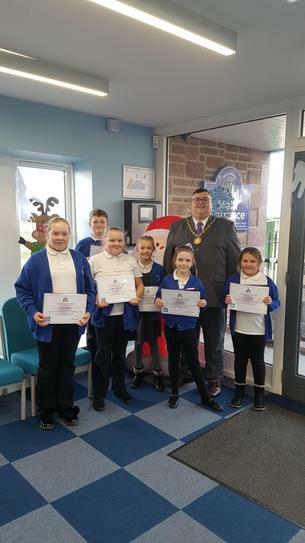 We were delighted to discover 6 of our children were runners up in the Allerdale Mayor's Christmas Card competition. There were over 1300 entries from 27 schools, which took four days to judge. The children all received a certificate and selection box from Deputy Mayor Neil Schofield.